Cayenne Red Metallic 2019 Nissan Versa 1.6 S Plus FWD CVT 1.6L 4-Cylinder Fully Detailed, Nitrogen Filled tires. 31/39 City/Highway MPG Shop online anytime at the Don Franklin family of dealerships. Family owned and operated for over 45 years! We appreciate your business. Fresh Powder 2019 Nissan Sentra S FWD Manual 1.8L 4-Cylinder Fully Detailed, Nitrogen Filled tires. 27/35 City/Highway MPG Shop online anytime at the Don Franklin family of dealerships. Family owned and operated for over 45 years! We appreciate your business. Gun Metallic 2019 Nissan Sentra S FWD CVT 1.8L 4-Cylinder Fully Detailed, Nitrogen Filled tires. 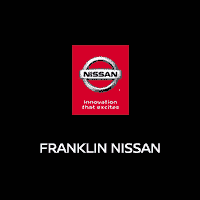 Shop online anytime at the Don Franklin family of dealerships. Family owned and operated for over 45 years! We appreciate your business. Super Black 2019 Nissan Sentra S FWD CVT 1.8L 4-Cylinder Fully Detailed, Nitrogen Filled tires. Shop online anytime at the Don Franklin family of dealerships. Family owned and operated for over 45 years! We appreciate your business. Red Alert 2019 Nissan Sentra SV FWD CVT 1.8L 4-Cylinder Fully Detailed, Nitrogen Filled tires. 29/37 City/Highway MPG Shop online anytime at the Don Franklin family of dealerships. Family owned and operated for over 45 years! We appreciate your business. Deep Blue Pearl 2019 Nissan Sentra SV FWD CVT 1.8L 4-Cylinder Fully Detailed, Nitrogen Filled tires. 29/37 City/Highway MPG Shop online anytime at the Don Franklin family of dealerships. Family owned and operated for over 45 years! We appreciate your business. Gun Metallic 2019 Nissan Sentra SV FWD CVT 1.8L 4-Cylinder Fully Detailed, Nitrogen Filled tires. 29/37 City/Highway MPG Shop online anytime at the Don Franklin family of dealerships. Family owned and operated for over 45 years! We appreciate your business. Super Black 2019 Nissan Sentra SR FWD CVT 1.8L 4-Cylinder Fully Detailed, Nitrogen Filled tires. 29/37 City/Highway MPG Shop online anytime at the Don Franklin family of dealerships. Family owned and operated for over 45 years! We appreciate your business. Scarlet 2019 Nissan Sentra SR FWD CVT 1.8L 4-Cylinder Fully Detailed, Nitrogen Filled tires. 29/37 City/Highway MPG Shop online anytime at the Don Franklin family of dealerships. Family owned and operated for over 45 years! We appreciate your business. Fresh Powder 2019 Nissan Kicks S FWD CVT with Xtronic 1.6L 4-Cylinder Fully Detailed, Nitrogen Filled tires. 31/36 City/Highway MPG Shop online anytime at the Don Franklin family of dealerships. Family owned and operated for over 45 years! We appreciate your business. Super Black 2019 Nissan Kicks SV FWD CVT with Xtronic 1.6L 4-Cylinder Fully Detailed, Nitrogen Filled tires. 31/36 City/Highway MPG Shop online anytime at the Don Franklin family of dealerships. Family owned and operated for over 45 years! We appreciate your business. Gun Metallic 2019 Nissan Sentra SR FWD CVT 1.8L 4-Cylinder Fully Detailed, Nitrogen Filled tires. 29/37 City/Highway MPG Shop online anytime at the Don Franklin family of dealerships. Family owned and operated for over 45 years! We appreciate your business. Gun Metallic 2019 Nissan Altima 2.5 S FWD CVT with Xtronic 2.5L 4-Cylinder Fully Detailed, Nitrogen Filled tires. 28/39 City/Highway MPG Shop online anytime at the Don Franklin family of dealerships. Family owned and operated for over 45 years! We appreciate your business. Brilliant Silver Metallic 2019 Nissan Altima 2.5 S FWD CVT with Xtronic 2.5L 4-Cylinder Fully Detailed, Nitrogen Filled tires. 28/39 City/Highway MPG Shop online anytime at the Don Franklin family of dealerships. Family owned and operated for over 45 years! We appreciate your business.